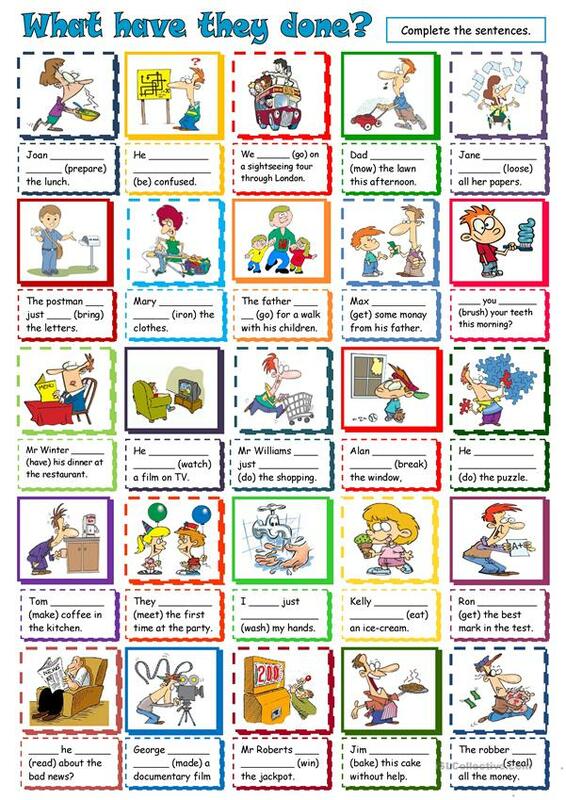 Exercise on Present Perfect. Fill in the verbs in the right form. The above printable, downloadable handout is a great resource for high school students at Pre-intermediate (A2), Intermediate (B1) and Upper-intermediate (B2) level. It is valuable for practising Present perfect tenses in English, and was designed for honing your pupils' Reading and Writing skills.